The 300mm discharge slurry pump is the single stage, end suction, cantilevered, heavy duty, horizontal centrifugal slurry pump. The wet parts components are casted of high chrome alloy, 27%, ASTM532, class III, type A. 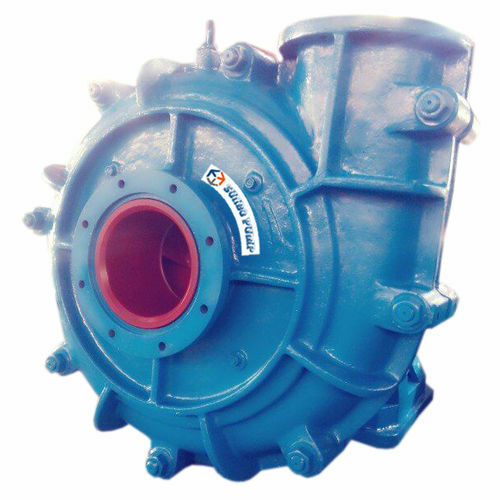 The HS type centrifugal discharge pump the most comprehensive range of centrifugal slurry pumps for use in mining, chemical and general industry applications. The horizontal slurry pumps are designed for heavy duty applications such as mill discharge, power sector and industrial waste tailing as well as specialty applications, which are used for continuous pumping of high abrasive, high density slurry.